PS Vita: Is Sony’s Change An Admission of Defeat? Earlier last week, reports were circling that Sony’s boss Shuhei Yoshida would look for Remote Play on the PS4 and indie titles to provide the content. Yoshida cited “graphical fidelity” and the notion that since the Vita can’t replicate PS4 experiences, they’re going to pull back on developing first party games for the system. Yoshia said Sony is “...super excited about how people are using it. We will continue to provide more utility to Vita as a PS4 companion device as well as PS Now terminal.” There are two ways to look at Sony changing the objective for the Vita. One way is to discuss how Sony is directly responsible for the failure of the system. The other way, is to talk about how this new change in direction might actually be a boost for the system and it’s owners. We’ll start with the former. One can see this move from Sony as their way of saying the PS Vita is a complete and utter failure. I’m purposely overlooking the high attach rate, critical acclaim from all those who own the system. Instead, I’m focusing directly on how Sony has treated the Vita. Which is to say, Sony has treated the Vita with an appalling lack of respect. Outside of Uncharted and a couple of HD remakes, Sony has done very little to push forward the power of the system. Sony is home to some of the most recognizable first party titles this side of Nintendo and have done so little to expand that reach, I’d think they were sabotaging the system on purpose. Where is a portable version of Gran Turismo? A Vita specific God of War? What about all those RPGs across the pond? How come they weren’t brought over? Sony has done a piss-poor job of getting the system on it’s good foot and now that they’ve found a way to shift the responsibility away from actually developing anything specific for the system, they’ve taken that path. Sony’s most popular franchise. And nowhere to be found on the Vita. On the flip side, there’s a certain clarity that Sony has provided with respect to the Vita. Sony admits that in a gaming universe where commenters argue on every single article posted about graphical fidelity, the Vita can’t win. One only need to take a look at a headline stating “Watch Dogs is 1080p on the PS4 and 900p on the Xbox One” to see just how inane that conversation can get. Rather than risk the Vita falling trap to that, Sony is avoiding it by refocusing what the Vita is. Believing it can no longer compete as a standalone device, Sony has opted to make it a companion of the PS4 and a window into the ecosystem of PSN, by offering it the ability to stream Playstation Now, right there on the screen. Could you imagine whipping out the Vita to play this? With indies more popular than ever, if Sony is dead set on making the Vita a go-to indie platform there’s a couple things it can do to shore up it’s supremacy. For example, if they make the tools easy for developers to port games for the Vita (which they’ve already started doing) this could be a brilliant move. 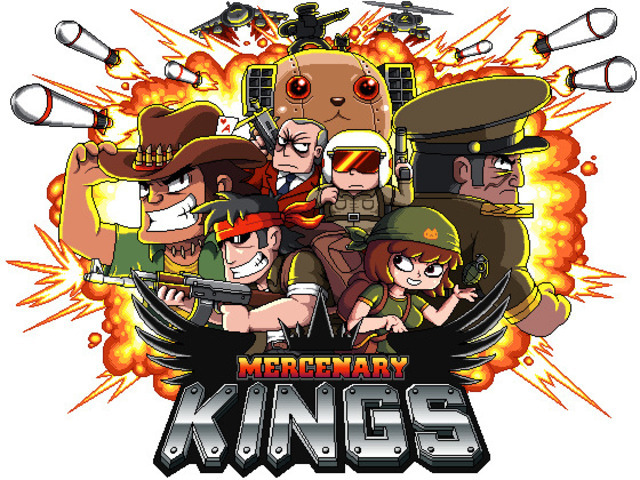 Games like Transistor and Mercenary Kings shouldn’t only be on the PS4 if the Vita is capable of running them. It’d be awesome to have those games in my pocket. If Sony is about to find a way to make every indie game that’s available on the PS4, available on the Vita, without the need for streaming service, I can see this working out in their best interest. Whether one believes Sony has failed the Vita or made a smart decision for its future, time will tell. As a Vita owner from day one, I’m interested to see how it pans out for Sony. When I bought the system, I thought I was going to get console-quality games on it. At that point, indie gaming hadn’t made itself the spectacle it is now. 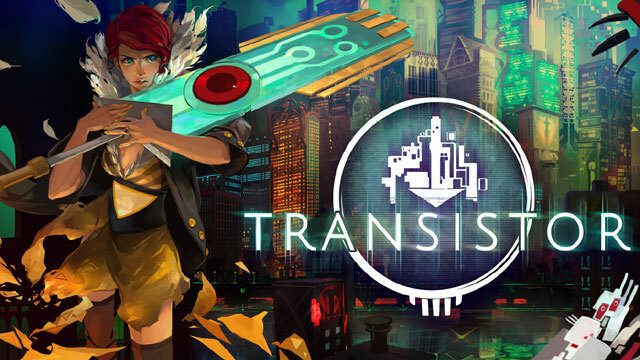 If indie games for the Vita are going to start looking like Transistor, then sign me up. But, if all the indie titles are going to hold on to that 8-bit graphic for nostalgia purposes, I’m going to be pissed. Here’s to hoping that Sony knows what’s it’s doing. June 26, 2014 in Opinion. Is the Vita “Failing” Because Sony Won’t Let Go of Last Generation? More of a pivot (in business terms) than a defeat… businesses do it all the time with products that aren’t quite working out, but few have the public gaze upon them like Sony. If P&G launched a poor selling toothpaste, it becomes a budget brand, if Adidas’ new sneaker line fails to take off, they become a limited edition. Sony can’t really duck the Vita out of the limelight like that so it has to keep the spin and focus on whatever positive it can manage. Vita has been dead for a long while. There’s just a few desperate million that cling onto false hope because they got suckered into buying one because of Sony’s overhype that doesn’t deliver.